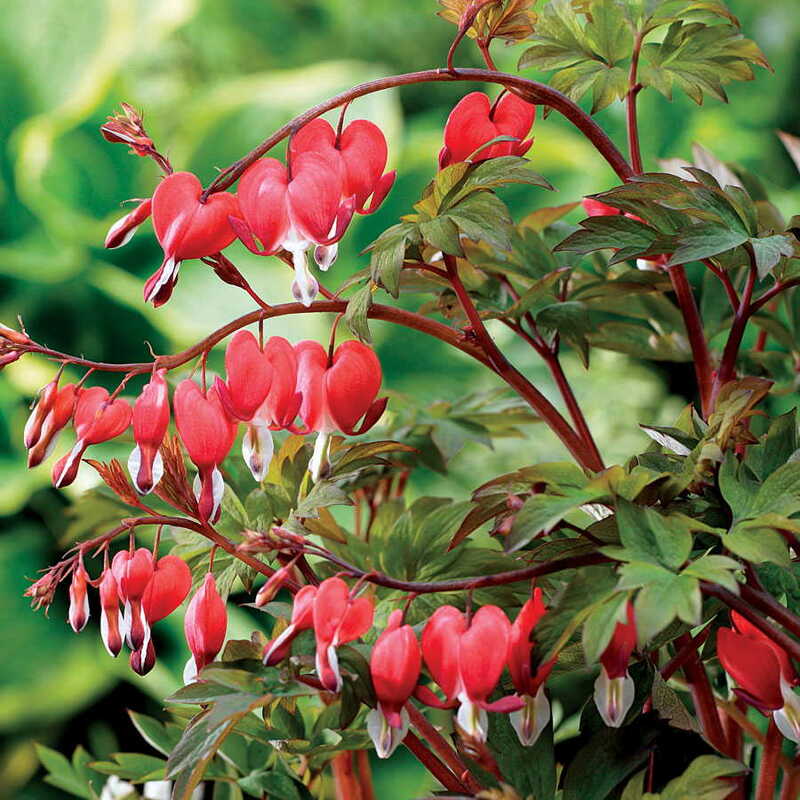 Valentine’ is a clump-forming colourful variety of this herbaceous perennial with deeply-divided, often red-flushed, grey-green leaves and, in late spring and early summer, dark red stems bearing arching racemes of nodding, heart-shaped, red flowers with white tips. Categories: A-D, Featured Plants, Plants A-Z, Plants by Season, Plants In Situ, Spring, The Spinney Walk. This new cultivar has become an instant sucess. In early spring the vigorous, plum-coloured shoots push through the soil, producing delicate ferny foliage that matures to a glorious, dark grey-green. 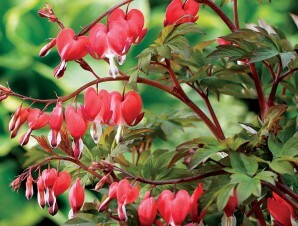 This is closely followed by arching stems that carry elegant, scarlet-red, heart shaped flowers. It is one of the earliest perennials into flower, but the foliage does start to die back after flowering, so it is best mixed amongst summer flowers, which can then maintain interest in the border.